Saturday afternoon in Luang Prabang, a few of us were sitting around chatting with some novices at a temple, and kept hearing loud music and raucous laughter from just down the road. Eventually we excused ourselves and wandered over to investigate. It turned out there was a neighborhood party going on. As near as we could tell, it was partly to celebrate the anniversary of the neighborhood, and partly for Valentine's day. We wandered in, and said hello to a few people, and watched some dancing, and eventually people started coming by. Some just said hello. Other poured us glasses of Beer Lao. Eventually a couple of guys dragged a table over and they brought us some delicious snacks to share. We had conversations with a few people - one guy has a sister who lives in Seattle, and has been here to visit. "I like your market!" he said. "I like yours better!" 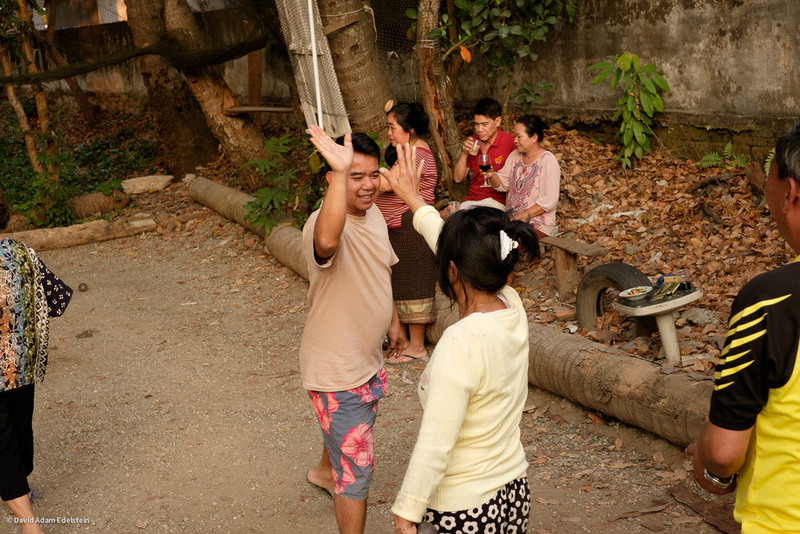 This was an especially festive version of an experience I had again and again in Laos. A lot of tourists seemed to just get in people's faces, shoot a photo, and run off to the next thing, so a lot of Lao people naturally didn't seem to want to make eye contact. But almost universally, after I gave them a friendly "Sabaidee!" 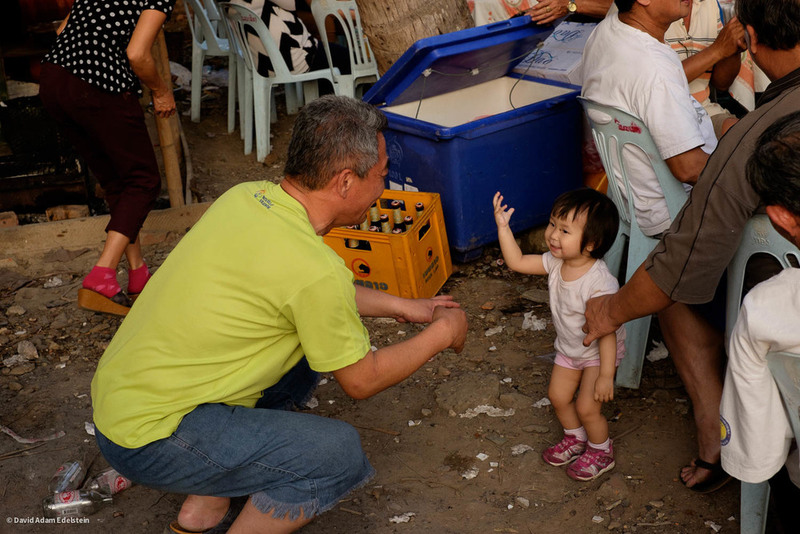 or hung around for a while and took an interest in what they were doing, people were friendly and very sweet. Old women would smile, parents would tell their kids to say sabaidee to the falang, vendors in the market would show me something interesting that they were selling. The payback for trying to make a connection was manifold. 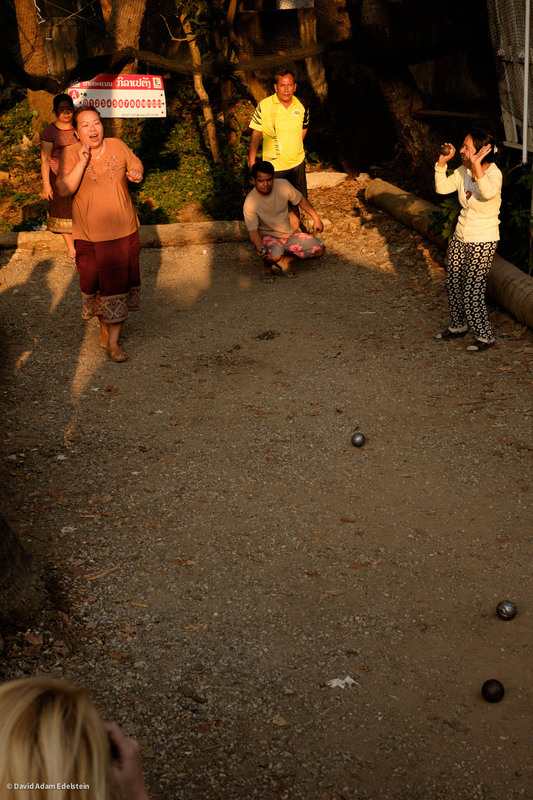 One more thing: One of the sweeping statements I will make about Laos is that Lao people love bocce. Who knew? At least once a day in the cities, we'd pass a game going on.